According to Channels Tv, South East governors are expected to hold an emergency meeting today to address all issues of security in the zone. The meeting has become necessary following the recent IPOB and military clash in Abia state. 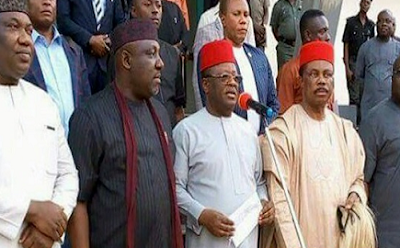 The governors had in their last meeting with the IPOB leader Nnamdi Kanu, appealed to the Federal Government to allow it resolve all IPOB related issues. The Chief of Army Staff Lt. Gen Tukur Buratai is also expected to join today’s meeting. Hopefully things will be resolved.